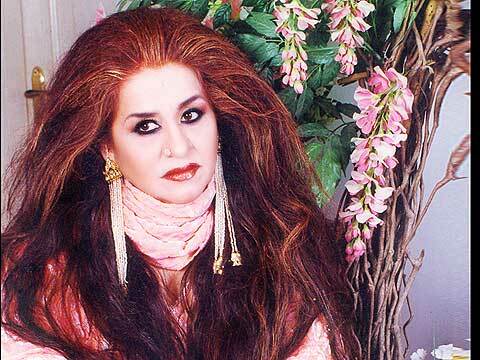 Ace beautician Shahnaz Husain has made a remarkable presence in Indian beauty and wellness space. The industry veteran is set to tap hospitals with her upcoming ventures. After making adequate headlines and sensational presence into salon, beauty, academies and even products space, India’s leading beautician who is also known as the Founder, Chairperson and Managing Director of the Shahnaz Husain Group of Companies, the lady herself - Shahnaz Husain exclusively disclosed her upcoming business plans with WI Bureau. Unveiling details of her franchise criteria, requirement and plans, Husain shared her plans to venture into healthcare space, offering acute wellness to the patients. Elaborate on the franchise Model offered by you. What are the terms of franchise- Revenue sharing model or company owned? I was the first person to adopt the concept of franchising in Indian beauty business, back in 1979. At that time, franchising as a business model was hardly known in the country. We do not have sub-franchising or master franchising. The fast-paced extension of the Shahnaz Husain Herbal clinics is due to our unique franchise system, under which, the franchisee gets rights to use the Shahnaz Husain's Herbal name and treatments, as well as enjoy a margin of profit on the sale of products. There is no sharing of revenue, investment, profit and loss. The Franchisee buys the Shahnaz Herbal products for use in the salon and for sale. The franchisee pays franchise fees and in turn, has to acquire training in Shahnaz Husain's school of beauty therapy and also satisfy the stringent requirements of a name that has become internationally known. The Shahnaz Husain salons carry out exclusive treatments for general care and treatment of specific skin and hair problems. Apart from strong branding, we also provide an established business system to the franchisee and a business model with proven success rate and efficacy. Our commitment to research and development and the launch of highly innovative formulations from time to time, are some of the reasons why the brand has developed so strongly. By assuming total responsibility of research and product development, the Shahnaz Husain Group backs the franchisee with a strong pillar of support. What are the emerging trends you see in Wellness Franchise? One of the key emerging trends is - salons offering wellness treatments, in terms of Day spa in the salon. As the ‘wellness’ concept is gaining ground, day spas are poised to become one of the most popular trend among the personal care services. Earlier, one used to travel to the seaside or the mountains. However, now, you can enjoy a day at a spa in the midst of the hustle and bustle of city life. A day spa is like an oasis, in the midst of city life. Here, the ambience itself would help you evoke in tranquil space, while relaxing with soothing massages and treatments. Spending a day at a spa means one can rest, revive body and mind and immerge in soothing massages and treatments. Elaborate on the selection criteria for the wellness franchisee. Our decision on giving franchise rights is based upon stringent selection process. Whether it’s for beauty or wellness franchise, the selection of franchisees poses hard challenge. There should be a sound financial background. The eligibility of the franchisee is discussed and decided after a personal interaction with the franchisee, consideration several aspects like the city / town, sound finances, location, etc. The financial capacity is checked and located. We also consider prior experience in beauty and cosmetics space, which may added as an advantage, although it is not absolutely essential. An existing salon can be converted into a Shahnaz Herbal salon. The franchisee must have Diploma certification in beauty and an advanced course in cosmetology along with Shahnaz Husain specialized treatments certification from our beauty institutes. If the franchise is for the beauty academy, it is necessary to take our Teacher’s Training Course. The Franchisee has to sign a Franchise Agreement on terms and conditions specified. How a franchisee's growth affect a franchisor's growth? Define the franchisee- franchisor relationship as per your experience. The franchising route has helped us establish Ayurvedic beauty care and take the Indian herbal heritage to every corner of the world. It has also helped us promote our concept of herbal beauty care and cures, as well as the specialized treatments for which we have become renowned worldwide. The brand has developed strong market presence through franchising and we have also extended our franchise salons, beauty academies and other ventures. In fact, franchising is the core of our brand’s success. We ensure and help the franchisee to follow the system and procedures of the business and hence, share a strong bond of common values. Our aim is to help the franchisee come closer to the global vision of the Shahnaz Husain name. Are you planning to franchise in an untouched area/category or location in near future? Apart from franchise salons, we also offer franchise of spa treatments, beauty training institutes and training institutes. We’ve recently started the ‘Just Shahnaz’ franchise retail outlets, a golden opportunity to share the global success of the Shahnaz Husain formulations. Plans are to open over 200 such outlets from January 2015. Franchises are available for retail outlets across the country, including targeted cities. All the Shahnaz Husain herbal and Ayurvedic product ranges are available at these outlets. Trained Beauty Advisors are deployed by the Group to sell and educate consumers. We also provide Free Start-up training to the franchisee’s staff in areas like products, services, operations and client handling. The franchisee will also be assisted in site selection, project development, recruitment and launch of the stores along with other marketing facilities. What are the emerging challenges faced by a big and renowned franchisor like you? Explain. Finding the right franchisee itself is a challenge. We look for someone who is willing to work hard with integrity and dedication to take the Shahnaz name forward. Another challenge for a franchisor is to ensure that the expression of each franchisee is uniform. In fact, the major challenge is to find trained therapists to carry out treatments. I feel that professional and vocational training is the order of the day. We insist that each outlet must be the epitome of the highest level of service, with properly qualified and dedicated staff. Each outlet must be the reflection of a highly successful international brand. New ideas, innovations, products and techniques are absolutely necessary to sustain the beauty business. That’s why we emphasize more on research and development of new products and treatments. Elaborate on the roadmap ahead for Shahnaz Husain franchise? What are your expectations from wellness franchise in years to come? Our future plans include concentrated international branding, strengthening and widening of our global chain of franchise and appoint distributors in unrepresented new markets. We have introduced an entire new repertoire of salon and spa treatments, using traditional and exotic ingredients. Shahnaz Herbal also plans to open treatment and de-stress centres along with spas in hospitals where people going through treatment can relax and rejuvenate themselves. We plan to set up Beauty schools globally to impart training on skin and hair problems with the powerful magic of herbs and plant power. We are also looking to supply the Chemoline products for skin and hair care to top Cancer hospitals all over the world, that have been especially designed to help alleviate the side effects of chemotherapy and radiation. These products draw upon the soothing and healing properties of organic ingredients and are known for their beneficial effects on the skin and hair. In total how many franchise outlets you are running at the moment? Share the total number in terms of - sub franchise or master franchise model. We have over 400 franchise ventures worldwide – in India and abroad. As already mentioned, we do not follow sub-franchising or master franchising systems. Jawed Habib: Betting high on franchising..